What Is in My Dog’s Food? What Is Natural Dog Food? What Are Dog Cones For? Is your dog a puller? Guess what? You are not the only pet owner to deal with this situation. We started researching the matter to find the best dog leash for pulling so that you won’t have to waste so much time. We read many product specifications, customer reviews, and specialists’ opinions, and our team has concluded that the Weiss Walkie EWC INC No Pull Dog Leash is the one you should consider. This model is immediately accepted by dogs and does not require any training. It works by wrapping around your pet’s barrel and attaching to its buckle collar. When your dog begins to pull, the leash applies slight pressure around your pet’s barrel which immediately decreases his or her forward movement. In the unfortunate situation you cannot find our first suggestion available, we recommend looking at the Resco Professional Cordo-Hyde, which is also an option worth considering. Usually accepted by dogs immediately, this model does not require any training. It was designed to eliminate pulling comfortably and humanely, with no stress on the pet. 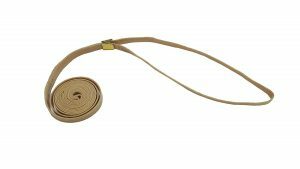 Although made from high-quality and durable materials, this leash is gentle with your companion. This unit's design combines canine physiology and psychology to stop your dog from pulling quickly, by applying slight pressure on the pet's barrel, thus decreasing its forward movement. If the leash is not a perfect size, and the dog shakes after getting wet, it might shift to the side, and it would have to be rearranged. Correct your dog’s pulling habit with this high-quality leash. 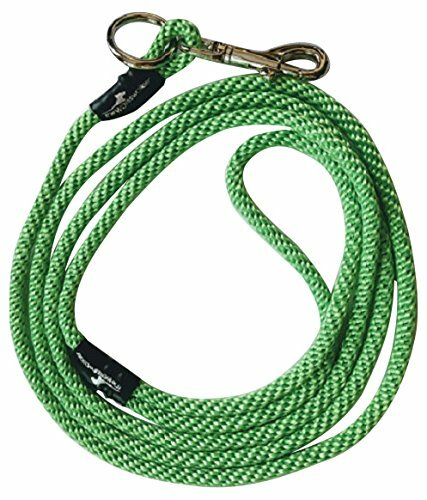 If you have a large dog that is also a puller, this heavy-duty leash is a great solution. You can use it in two positions; one allows you to hold the traffic handle in one hand and the end handle in the other in order to better control the dog. The one-handed freedom position requires holding only the end handle, offering your dog a larger leash length to explore. The rope features reflective stitching that will keep your companion safe even at night time. If not kept in tension when using the freedom position, the weight of the traffic handle can make the leash end up under your dog's legs. Gain control over your pulling dog with this versatile leash. This model features micro-crystalline wax-coated cotton that makes it look and feel like leather. 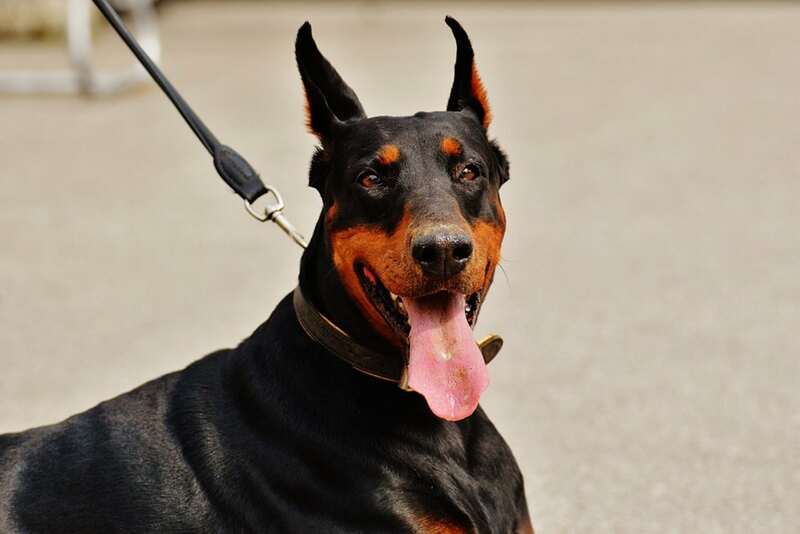 It is firm enough for your dog to respond to your tug on the lead in the show ring. The brass clip is adjustable to the pet's neck size. You can also select between two available widths, 3/16 inches and 3/8 inches. Moreover, there are five available colors you can choose from. The brass catch holds nicely in place, and it is very easy to handle as well. Some customers found this leash too narrow for their dogs, and there were a few mentions regarding the slide adjuster which can sometimes get caught. Show off your dog with this stylish, hand-sewn lead. Searching for the best dog leash for dogs that pull can be a hard task, as there are so many options available. Besides helping you understand what to consider when purchasing such a product, we also compiled a list with top-rated products that you can select from, that we’ve showcased below. In case you need a no pull dog leash, we recommend looking at the this product. 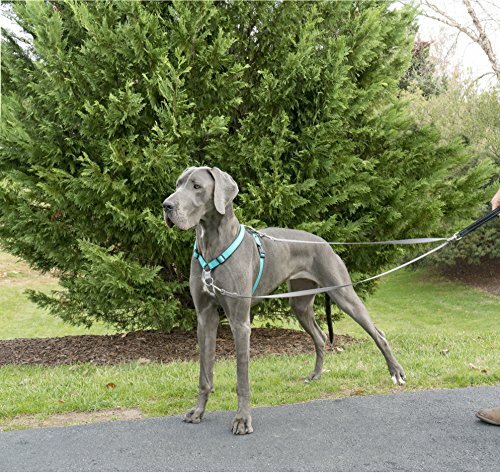 The Weiss Walkie EWC INC No Pull Dog Leash is a great solution for dog guardians who need an easy, pet-friendly way to walk their dogs. This model is usually accepted by dogs immediately, and no prior training is necessary. The Weiss Walkie was designed to eliminate pulling in a quick, comfortable, and humane manner. The leash is made from durable, high-quality materials to serve you and your dog for a long time. Also, attaching it is a very easy process. The design of this model combines principles of canine psychology and physiology to quickly and humanely stop your pet from pulling. The leash wraps around your dog’s barrel and attaches to its buckle collar. When your little friend pulls, the EWC Walkie applies slight pressure around the dog’s barrel instantly, decreasing its forward movement. 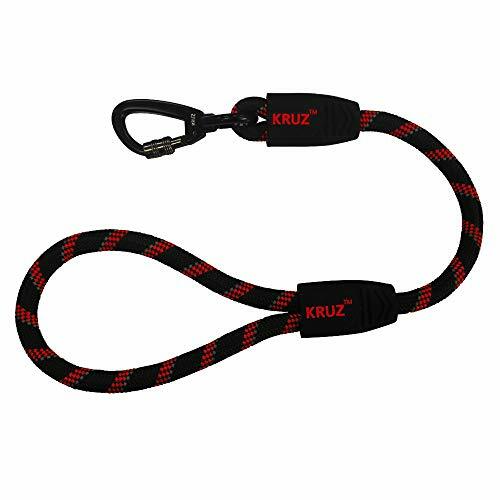 Another great solution for your pulling dog can be the Heavy Duty Reflective Two Handle Dog Leash from Kruz PET which is suitable for large dogs. The product features soft foam handles for a comfortable grip. 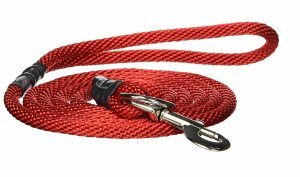 The rope clip features the Kruz PET patented design which incorporates reflective stitching that makes it very visible keeping your dog safe at night. This model can be used in two different positions – the two-handed position allows you to hold the traffic handle in one hand, and the end handle in the other to have better control over your dog. With the one-handed freedom position, you hold only the end handle providing your dog more length to explore. This heavy-duty model is easy to click and lock with a 360-degree swivel snap hook. The 2mm reflective stitching provides safety and visibility at night, and the vibrant colors are very easy to see in any light conditions. Our next candidate in this category is proudly hand-sewn in the United States by Resco. The Professional Cordo-Hyde Dog Show Lead features micro-crystalline wax-coated cotton which imitates the look and the feel of leather. This model is stiff enough for the dog to respond to its handler’s tug on the lead in the show ring. You can have quick control with the Resco brass clip which can be adjusted to the pet’s neck size. Dog owners who decided to use this product appreciate the fact that the brass catch holds in place, and that the lead has an excellent grip making it very easy to handle. You get to choose between the 3/16-inch and 3/8-inch widths, and there are five available colors to select from. You should also know that you get a lifetime warranty, as Resco guarantees their products are of the highest quality and that they are made to last. Moving forward with our list, we have a product that is created by The Company of Animals, and it was designed for multi-purpose use – hand-held, hands-free, and tether format. 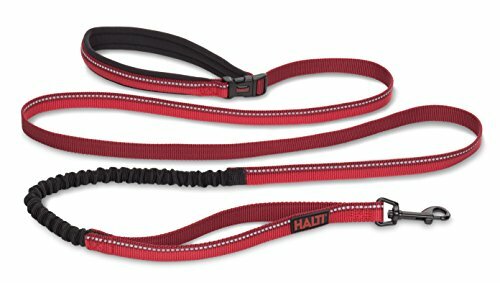 The HALTI All in One Lead is perfect for hiking, running, and hands-free walks. This model incorporates a colorful design with nylon webbing. The handles feature soft neoprene which ensures a very comfortable grip. The great thing about this item is that it can extend so that it can be worn as a belt. The three-point button release clasps are very strong and secure. For increased security, the reflective 3M Scotchlite topstitching offers high visibility during nighttime walks. 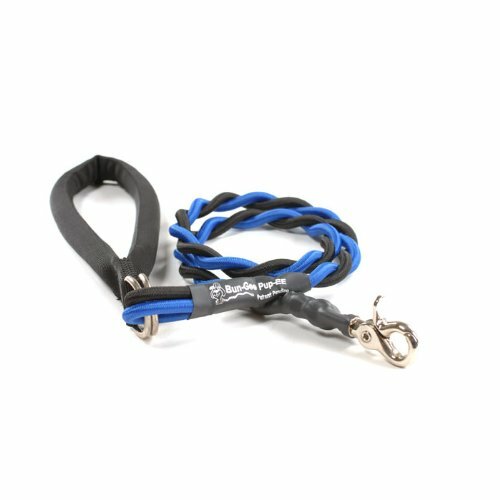 Furthermore, the sturdy shock absorber bungee increases the protection level for both the pet and the owner from any sudden jolts. The traffic lead allows close control in crowded environments. If you decide on this unit, you also get to choose between four available colors. If you are on a budget and you were thinking about purchasing a cheap dog leash for pulling, we suggest taking a look at at the PetSafe Two Point Control Leash. This unit was designed to offer you more control over your dog and decrease leash pulling when combined with the PetSafe 3-in-1 Harness. The two snaps attach to the back and the front of your harness which helps effectively and safely redirect your pet’s leash pulling. In order to offer the owner increased comfort, the handle is padded and it self adjusts to the dog’s movements. Furthermore, the swivel hardware keeps the leash from getting tangled as your pet moves. PetSafe also thought about night walks and combined the rope with reflective material for increased safety. Last, but not least, when added control is not required, the leash turns to a single four-foot leash. Resco created the Professional Cordo-Hyde Spinner Show Dog Lead as a show lead that can move freely without tangling and still be very comfortable for both dogs and their owners. The neck pad was added with the safety and comfort of the dogs in mind, which will be able to be active and spin freely. Moreover, the brass clip is adjustable to fit all neck sizes. It is coupled with a swivel which rotates 360 degrees – in other words, your pet can spin as much as he/she fancies, and you do not have to worry about the leash getting tangled. The neoprene rubber neck-pad takes any stress off the pet’s throat even when there is tension on the lead. The patch is small and discreet so that it will not detract from your dog’s appearance in training exercises or in the show ring. Various widths and colors are available to choose from. Correcting your dog’s behavior can be done with positive reinforcement, and you do not have to use force or unpleasant actions. The appropriate leash can make a great difference in correcting the pulling behavior of a pet. 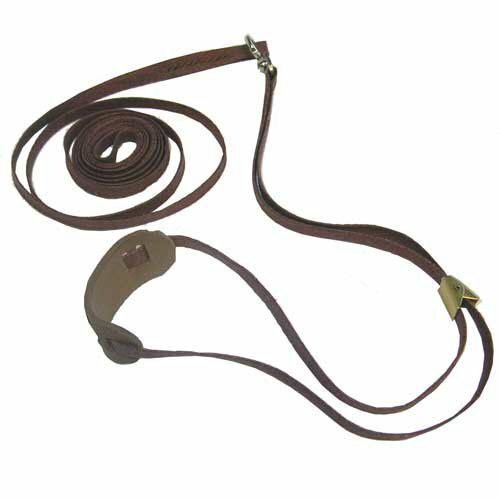 Another alternative you can take into consideration is the No Pull Dog Leash from Weiss Walkie. This unit was designed to eliminate pulling in a quick, gentle, and comfortable way, with no prior training required. This leash is made from long-lasting, high-quality materials that will allow you to enjoy pleasant walks with your dog for a long time to come. The rope is neon green which is a very pleasant color for the eye. 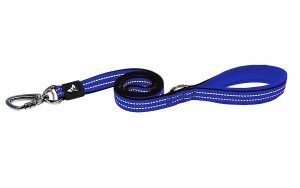 The Weiss Walkie No Pull Dog Leash is ideal not just for dog walkers but for animal shelters as well. Customers who bought this product are very happy with it and mentioned that their dogs enjoy it too. Since the design takes into account the canine physiology and psychology, Love2Pet has managed to create a leash that prevents dogs from pulling. The large No Pull Dog Leash works by wrapping around your pet’s barrel and easily attaching to the buckle collar. When the dog pulls, the leash lightly creates pressure on the pet, which helps decrease the natural urge to move forward. This model is great for dogs that get excited easily, as the gentle pressure will help them relax. The leash comes with a simple, user-friendly design that is also comfortable for the pet. Moreover, it can be an excellent tool for animal shelters and dog guardians who need an easy and dog-friendly way to walk their pets. Usually, it is accepted by dogs immediately, and the best thing is that no training is required. This particular model is available in a large size and pink color. This model is another option, which is also more budget-friendly. The 20-inch leash features a soft silicone grip, and it was designed so that you walk your dog in the city safely. 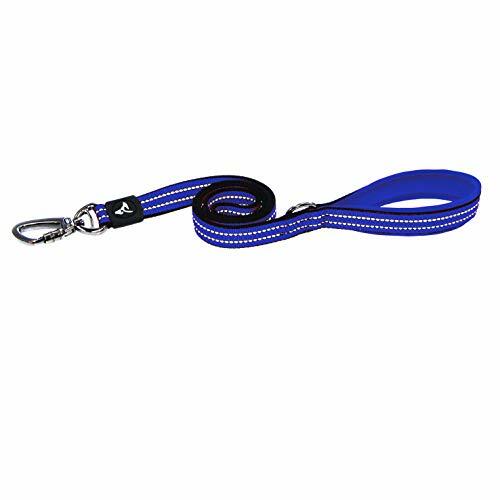 In order to offer the owner a comfortable hand grip, soft rubber handles have been added to the Traffic Short Dog Leash with So’ Silicone Grip from Kruz PET. The heavy-duty polyester webbing rope incorporates reflective stitching that makes it very visible and offers extra safety during nighttime walks. A strong and comfortable hold is essential especially when dealing with a large pulling dog, and this model was created with this aspect in mind. Due to the multi-layer braided design, the tensile strength is increased. The click and lock snap function provides extra security. Furthermore, the short length offers better control over your pet, and the 360-degree swivel snap hook makes it easy to click it on the collar and take off. 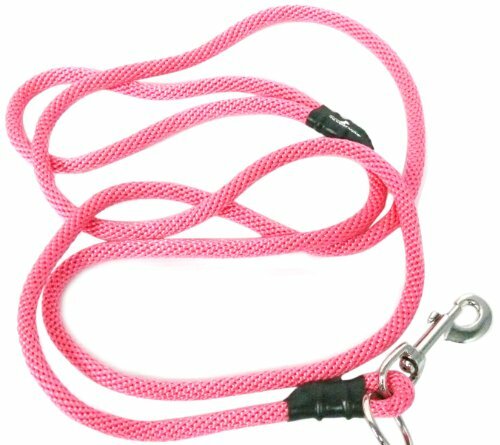 Also called the first step training tool by many dog trainers, the Bungee Pupee 3-Feet Medium Leash is an excellent option for pulling dogs. This blue and black model is suitable for pets up to 45 pounds. Its normal length is three feet, but it can stretch up to five feet. The resistance in this leash discourages your dog from pulling, and it absorbs the shock of any sudden movements. It is a perfect choice for medium to small breeds such as Beagle, Sheltie, or Cocker Spaniel. This model is ideal for puppies that are leash training as well. Dog owners appreciate how this tool stretches and then it pulls the pet back. Also, it gives the puppies some freedom, but not enough to spoil the training. Furthermore, the handle is large enough to fit all hand sizes, and there is also plenty of room for transferring it from one hand to the other. As a pet owner, you might have thought about the unfortunate situation when you are walking your dog through the park, and the leash suddenly snaps. Your companion runs off and gets into some kind of trouble before you can get to him or her. This can truly become a nightmare, and the only way to prevent this from happening is to get a reliable leash. But where to begin? If you start looking online, you will go crazy with so many options for sale. Reading reviews of dog leashes for pullers can be a good start. Still, it is better for you to know what things to consider before making this purchase. 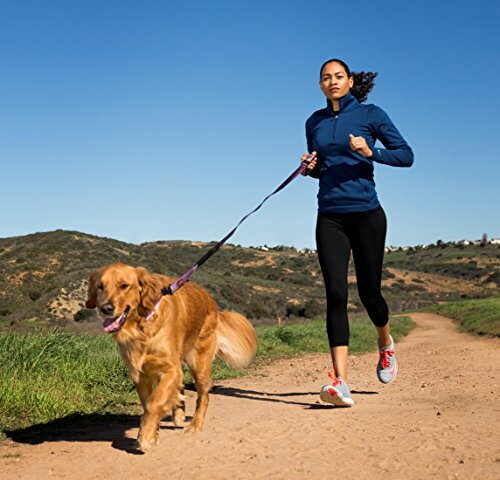 Pretty much any leash might do for everyday walks and exercise, but if your dog has a certain behavior or if you want to train a specific skill, there are specially designed leashes that are tailored to suit what you want to achieve. In this case, we are dealing with pullers. So, if you want to discourage this behavior, you need to get the appropriate equipment. Harnesses, for example, are becoming more and more popular as they are more gentle on the dogs, they help prevent your pet from jumping up on strangers, and also discourage pulling; all these without worrying about choking. Moreover, dogs on harnesses are less likely to get tangled up in the leash by accident. Whether you select a collar or a harness, or even a combo, the leash is just as important. That is why we recommend getting your equipment from a specialized store. If you start asking around, people will give you so many suggestions you will start feeling dizzy. The safety of your pet is essential, so it is best for you to go to somebody who knows what they are doing and talking about. Your local pet store is a good starting point. The sellers there can recommend the best product according to your dog’s breed, size, age, and behavior. 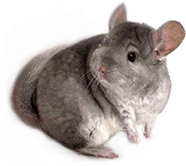 If you want to get a larger variety and decide to make the purchase online, you ought to ask for advice from your veterinarian or a good dog trainer. They will also be able to recommend you safe, high-quality products. This is one of the most significant aspects, and it is so easy to get it wrong. Get a one size too big no-pull leash, and it will not be snug enough to offer the much-needed feedback that discourages the pet from pulling. Getting the right size is crucial. In order to get the correct information, measure the circumference of your dog’s torso right around the chest. In case you are still unsure, it is a good idea to speak to the manufacturer of the product you want to get. 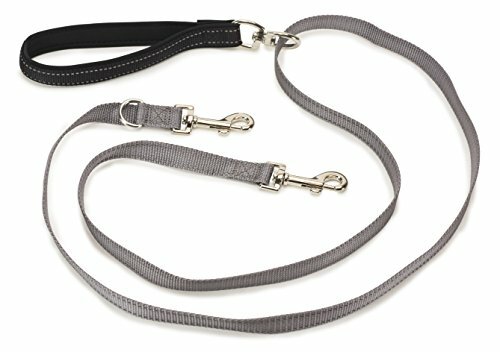 As previously mentioned, there are many alternatives for no-pull dog leashes, from standard ones to others that have a harness or a vest integrated into them. They can both work just as well. In case you already have a vest, you might want to purchase a leash that is compatible with it. The advantage of going for this type of combo is that it helps to distribute the pressure equally, as opposed to leashes that tend to put excessive pressure on a single point. We recommend looking for straps, harnesses, and vests that are thickly padded, even if this means a little extra bulk. They are better than choosing flimsy straps that can cause chaffing, and that can bite into the skin. This aspect is important, too. Since you are going to use this leash multiple times a day, you need something strong and durable, that can withstand wear, and that does not tear easily. To get a better idea about this aspect, when deciding on a product, read the reviews as they will give you relevant information on this matter, as well. This guide is meant to offer you some insight on the things you should take into consideration when looking for a good dog leash for pulling. If you follow our recommendations and look at our top-rated products list, we are sure you will find what you are looking for.